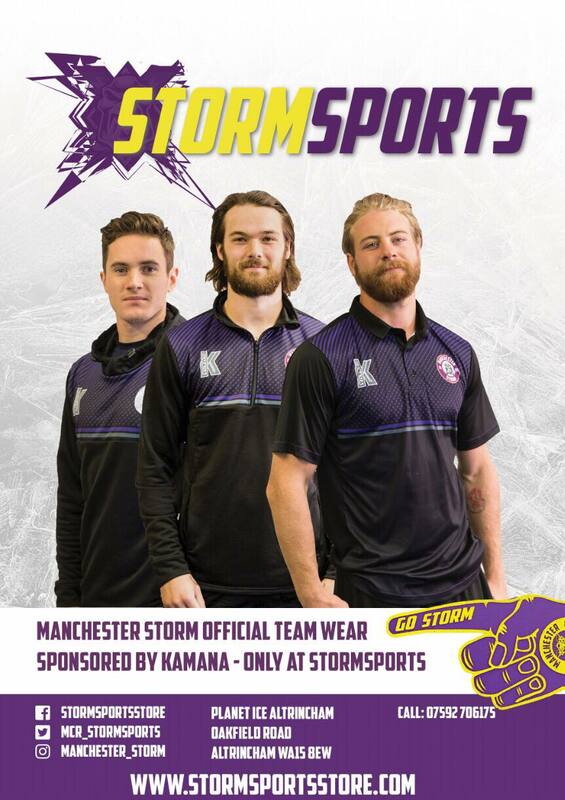 Your Go Goodwins sponsored Manchester Storm, play their opening games of the EIHL season this weekend against Nottingham Panthers. Saturday 8th, sees them away at the NIC Nottingham, 19:00 face-off. Panthers will then visit the Storm Shelter on the 9th, 17:30 face-off. Storm had an exciting pre-season, with four teams visiting from overseas to compete in the Four Nations campaign; plus a visit from Canadian team, the University of Manitoba Bisons. Last weekend saw the final exhibition games of the pre-season against DEL2 teams, Toelzer Loewen and Eispiraten Crimmitschau, who brought loud and proud travelling fans adding to the experience. However, things are about to get even more competitive, as Storm face the usual EIHL teams, in order to compete for top table results, the challenge cup and retain the Patton Conference trophy. Last season saw Storm and Panthers face each other six times, with Storm winning all their home games. Highlights include the 5-3 win last November and the home game in December last year, where Storm came through in OT. Let’s not forget the thrilling home game in March, where captain Byers slotted a five-hole goal in penalties, winning 4-3 – also the night Storm found out they had won the Patton Conference. Nottingham Panthers will again be providing some strong competition for Storm this season, with new Coach Rich Chernomaz building a physical team, whilst retaining some core players – including four of last season’s GB gold winners. For Storm fans attending the away game this weekend, Panthers will be holding a ceremony before their home game on Saturday. They are set to retire long-time British player David Clarke’s #5 jersey – who holds the EIHL records for all-time leading goalscorer and all-time leading points-scorer. We look forward to giving the Nottingham Panthers, and their fans a warm welcome to the Storm Shelter this Sunday for the home season opener. Ones to Watch: Jon Rheault – New to the EIHL, Canadian forward, Rheault has played for numerous leagues, including NHL, CHL and DEL. He was drafted in round 5 of the 2006 NHL draft by Philadelphia Flyers. 50/50 & “Chuck A Puck” can be bought from the OSC stall, underneath block 113. The Station Hotel, Storm’s official pub, will be open to fans for pre-match drinks. Find the information for the the rinks new entrance arrangements can be found here. Manchester Storm’s next game is Challenge Cup, against Sheffield Steelers, at the FlyDSA Arena, Saturday 15th September @ 19:00, and home against Glasgow Clan Sunday 16th 17:30.